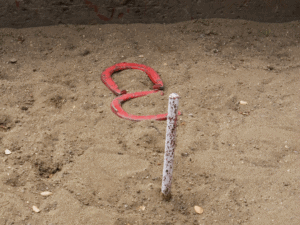 Close counts in horseshoes and hand grenades. Close also counts in software asset management (SAM). Software publishers won’t sue if you are short a license or two. Effective License Position (ELP) is the difference between software entitlements and license consumption. When it comes to ELP, close enough really is good enough. Close is NOT good enough, however, when it comes to IT asset disposition (ITAD). An ELP mindset might explain why the ITAD Gap gets ignored. Accounting for an appropriate number of licenses is not the same as tracking a specific laptop. Close doesn’t count in ITAD so SAM managers must be extra vigilant when managing ITAD projects. This means SAM managers must relearn what it means to reconcile when it comes to ITAD. ELP reconciliation is a simple equation of license entitlements minus consumption. If the result is negative, consumption exceeds entitlement and the SAM manager must determine whether additional purchases are required. ITAD reconciliation, however, is different. ITAD reconciliation is the process of linking specific records. The simplest kind involves matching serial numbers. Unfortunately, matching serial numbers is not simple or effective. Hardware asset managers must rely on secondary identifiers such as asset tags or disposal tags. Even then, a small decrease in data quality or small increase in complexity of data results in missing assets. Inventory discrepancies that happen during the disposal phase of the IT asset lifecycle represents the ITAD Gap. The bigger the gap, the greater your exposure. The ITAD gap represents missing links in your chain-of-custody. Every business has a gap. The key is knowing the gap exists and how to manage it. Applying SAM thinking to ITAD is risky business. Having an ELP mindset ignores and widens the ITAD Gap. Plus, old laptops make lousy horseshoes. Let me know if you want to learn the answer or how to close the gap.